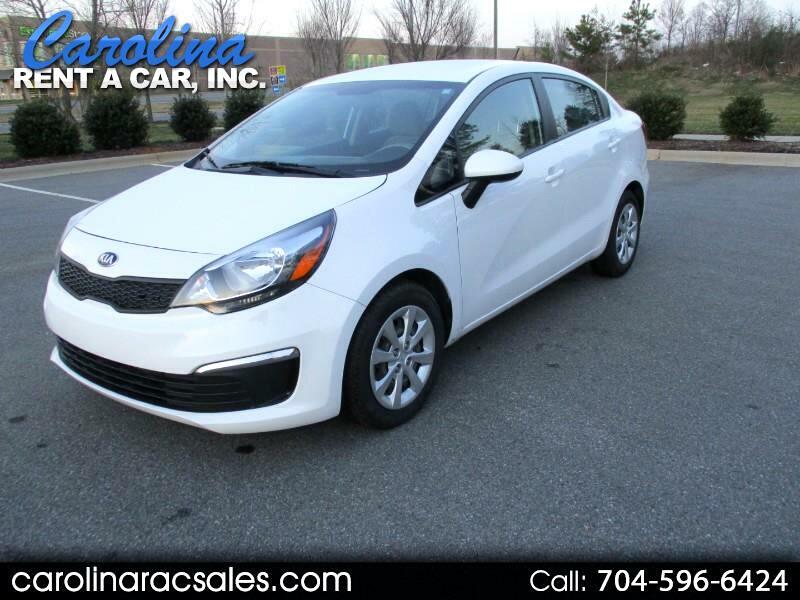 Used 2016 Kia Rio LX 6A for Sale in Charlotte NC 28213 Carolina Rent A Car, Inc.
Nice Rio LX located in Charlotte, NC! We have all service records since 8,051 miles. We are second owner of the vehicle. CARFAX shows one small accident minor damage to front left. This vehicle has automatic transmission, manual windows and locks, power side mirrors, am/fm/xm stereo cd player, a/c and much more. It may be basic in equipment, but these little cars run great! Call John at 704-596-6424 to schedule a time to see this car or others like it. With more than 100 vehicles in our fleet we can't list them all. Priced at Dealer Wholesale! Kia Factory Power Train Warranty remaining of 5 years/60,000 miles.